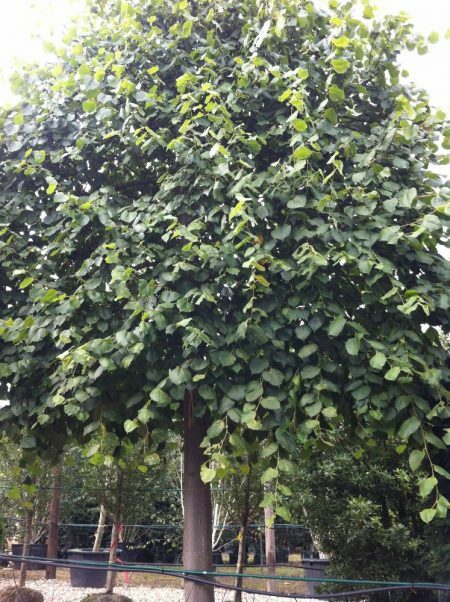 Tilia europaea is an impressive, fast growing tree which has a broad crown at maturity. Common European Lime has fragrant yellow flowers that hang in cymes, whilst it’s lush green leaves turn a vivid yellow just before they fall in autumn. This is a tough tree, thriving on most soils, and is frost hardy. It is good for urban areas and is wind resistant. Too big for gardens, it is best planted in parkland.